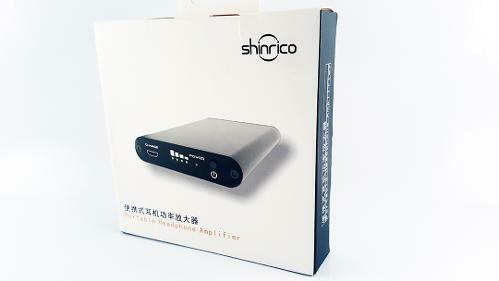 Founded in 2014 in Guangzhou, China, Shinrico is a company focused on digital electronic products in the field of high-tech enterprises. Recently I reviewed their excellent D3S Digital Player/Transport here and today I'll be looking at their portable headphone amplifier, the Shinrico E11 that currently retails for around $44. Let's go. This product was sent to me for the purpose of this review. I'm not affiliated with the company in any way and all opinions and observations here are my own, based on my experience with the product. 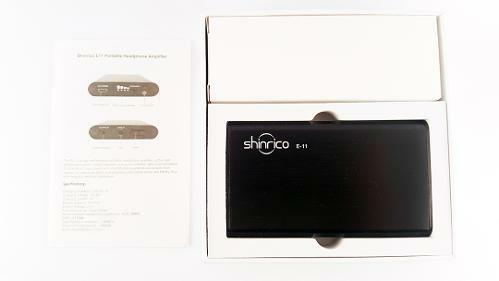 I'd like to thank Ann from Shinrico for the opportunity to test the Shinrico E11. The E11 comes in a clean looking black and white box. 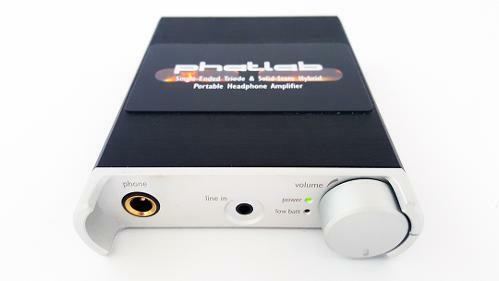 On the front is the brand name and an image of the amplifier. On the back there are a couple more images of the product. 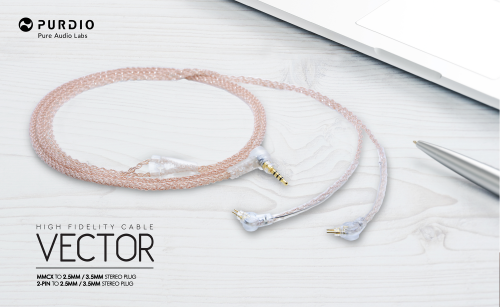 Nothing flashy but it looks good and gives you a clear idea of how the amplifier looks. It's basically all you need but it would have been nice to include some small silicone feet or something similar to protect the body of the amp and the device you're stacking it with from scratches. This isn't really an issue for me as both my current DAPs have a protective case on them already, as does my phone but nonetheless it would be a welcome addition. The E11 comes in two colors - black and titanium. I have the black version. The unit itself is almost exactly the same size as my NiNTAUS X10 and FiiO X1ii. The casing is made from a brushed aluminium, is very nicely crafted and feels great in the hand. It is rounded along the length of each side and all the edges are smooth and cool to the touch. Everything feels well put together and there are no rattles or loose parts present. 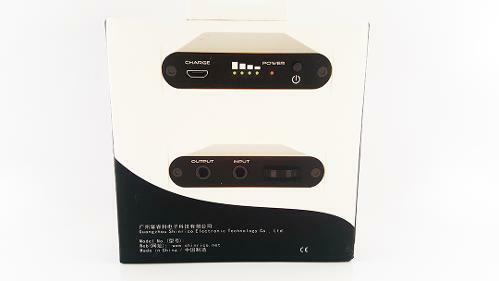 On one end are (from left to right) Micro USB charging port, power indicator LEDs and power button. The unit is turned on by holding down the power button for a second. The button has a solid feel and audible click. 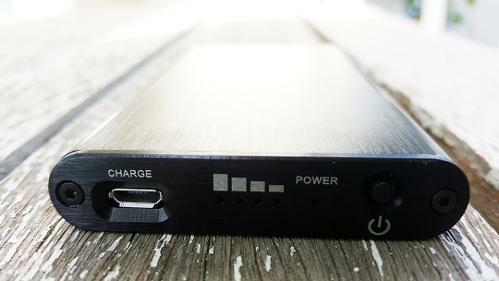 A short press of the power button displays the battery's charge level via four green LED lights. Whilst charging these light up sequentially from right to left. It's a very intuitive system and gives you all the information you need. On the opposite end are (from left to right) 3.5 mm headphone output jack, 3.5 mm input jack and the volume dial. The dial is very smooth so it's great for doing precise volume setting but I would have liked it a bit tighter to help avoid accidental movement while handling the unit. It's a perfect size for me, being neither too small nor large and almost identical to the NiNTAUS X10 and FiiO X1ii making it ideal for stacking. The manufacturer claims the E11 has a battery life of 20 hours continuous use and from my experience using it over the last month or so I think that to be fairly accurate. This is a huge bonus for me because it means that no matter what I'm doing there's basically no chance of me going through a full charge in a single day, so I won't be left out in the cold when I'm out and don't have a charger available. The battery level LEDs on the unit are a great indicator and are extremely easy to check and seem to be very accurate too. Drain is consistent across the four levels which makes determining the remaining power a no-brainer. 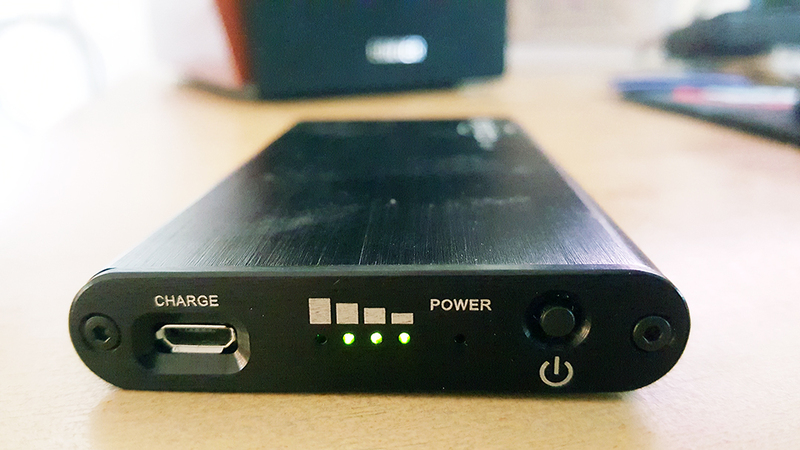 Charge time is around 3-4 hours using the USB cable connected to my desktop or laptop computer. 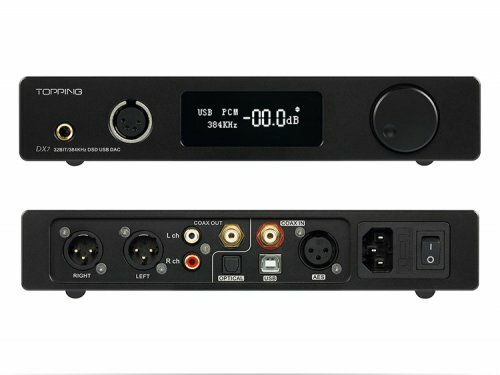 The E11 has a two-stage amplification, utilizing the Texas Instruments OPA2604 and TPA6120 to improve output impedance and enhance output power. 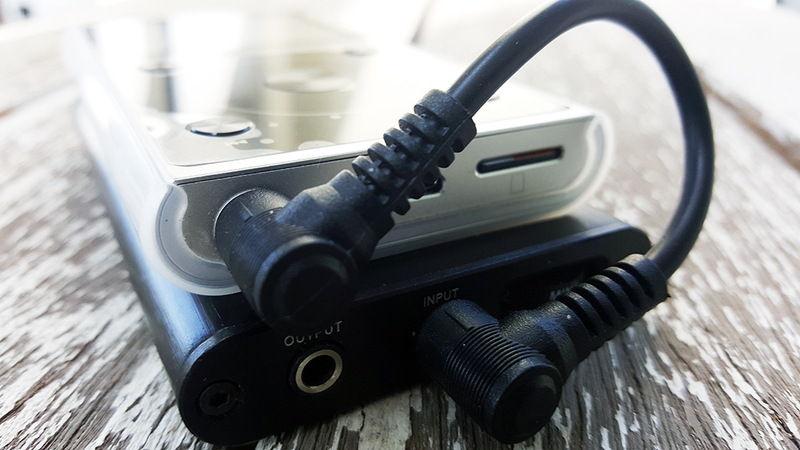 Speaking of power, there's plenty of it on tap with the E11 making it capable powering full-sized headphones though there's no option for switching to Hi-gain. 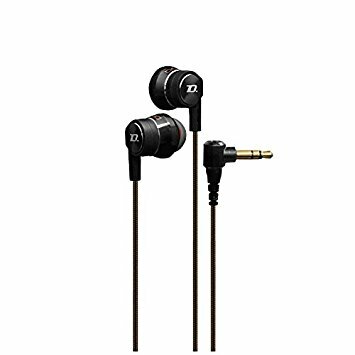 I have not experienced any background noise or hiss whatsoever, leaving the audio signal clean as a whistle, even when using sensitive IEMs. Though I don't have any equipment for testing, the E11 sounds to me linear across the board, simply offering more gain to drive high impedance or low sensitivity headphones/IEMs. 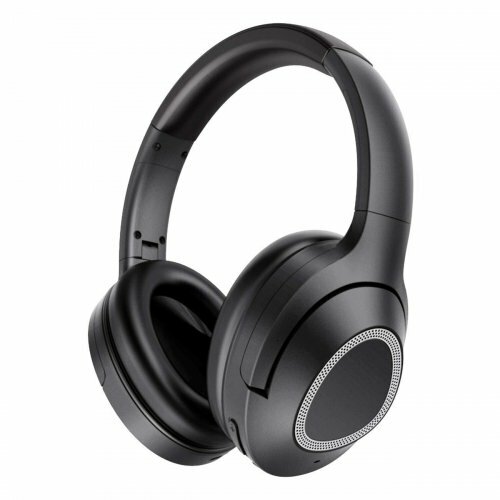 The Ultrasone Performance 860 is not particularly hard to drive with an impedance of 32 ohms and sensitivity at 94 db for its 40 mm drivers. 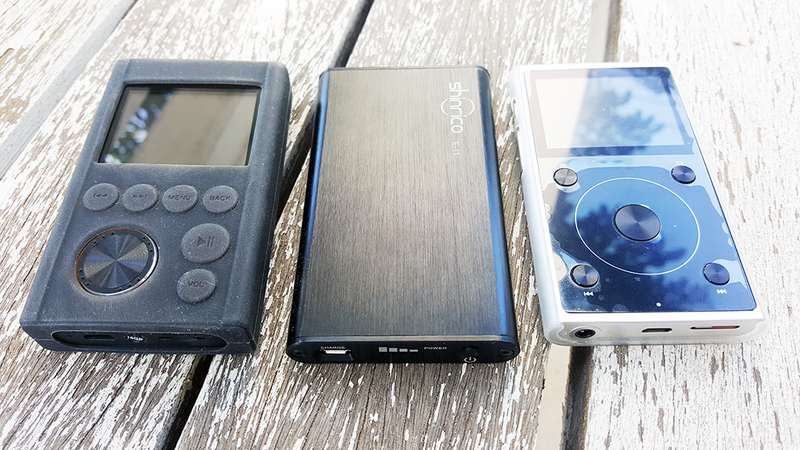 For reference I usually set the volume on the FiiO to 65-75 (maximum 100) with these and with the E11 setting the dial on 2.5-3.5 will give me similar SPL. 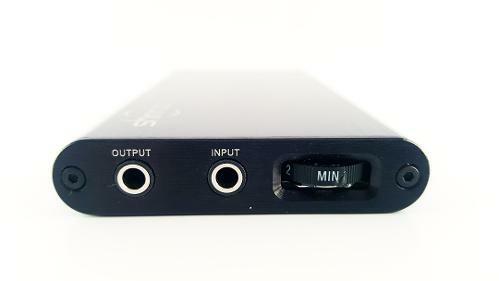 The E11 sounds very linear to me so there's no discernible coloring of the output, just pure amplification. There's more than enough juice to bring out the full potential of the 860 and plenty to spare. Using the E11 with IEMs results in a similar outcome. 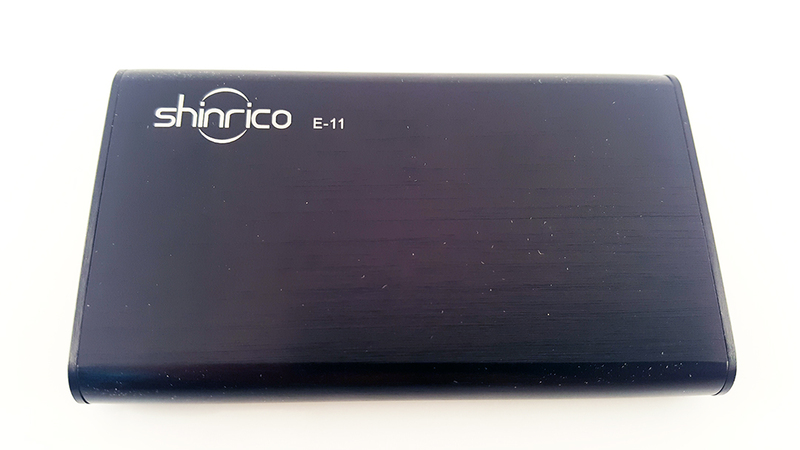 The background on the Shinrico unit is black with no signs of signal overload. This was the same with everything I tried from the Moni One, TFZ Balance 2M, LZ A4 and Trinity Audio Phantom Master 4. 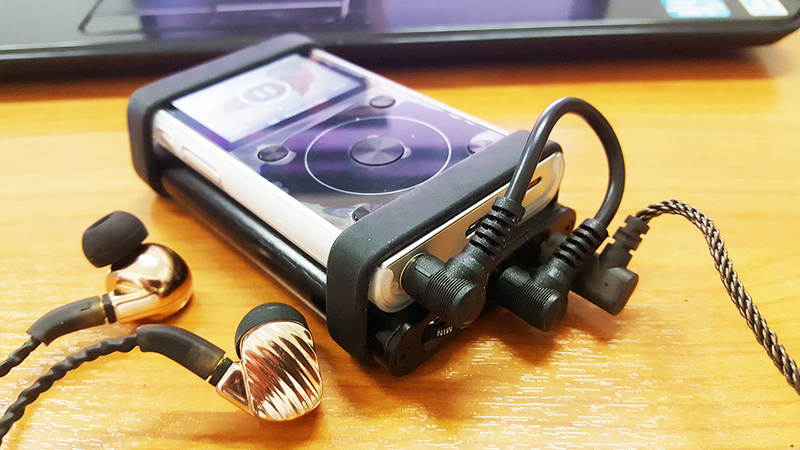 Admittedly for IEMs such as these there's little reason you would need an amp in most situations but as many will know, sometimes a little amplification can bring out the best in an earphone (think Havi B3 Pro although I don't have one on hand for testing). With a rated total harmonic distortion of: ≤0.001% it's hardly surprising. I've been using the E11 for the last 4-5 weeks, mostly with IEMs because well, they're portable. Most of them sound pretty good without amplification but some do benefit in my opinion from a bit of extra juice. 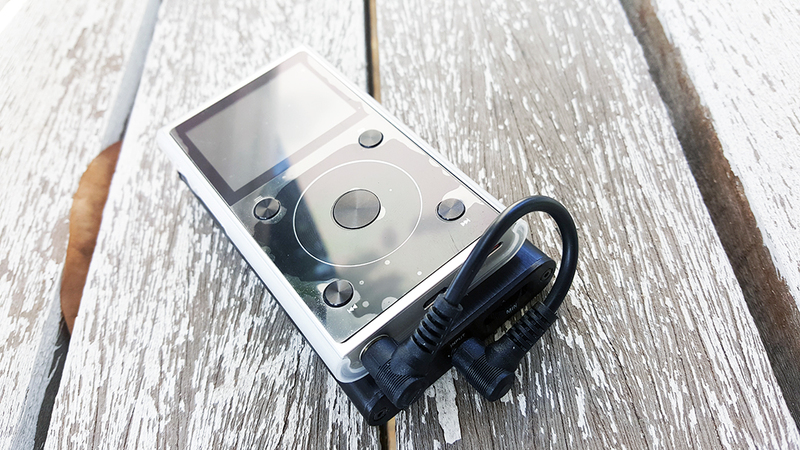 Also when I'm using the FiiO X1ii, having it connected to the E11 means I can avoid having to use it's sub-par volume controls but I digress. 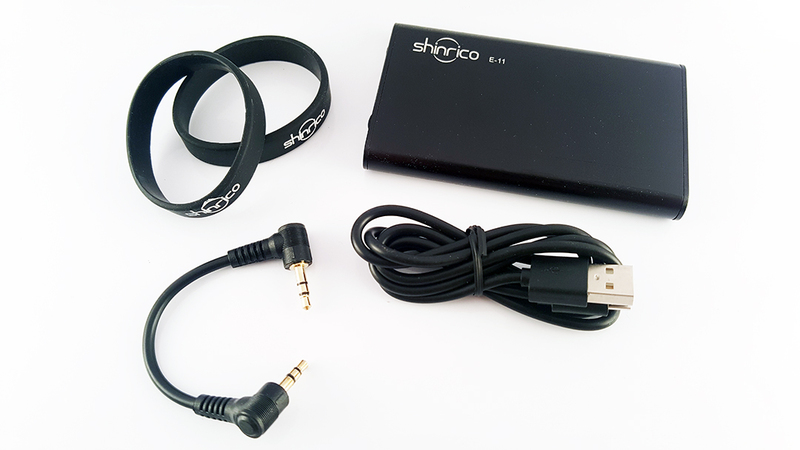 A portable amplifier such as this can also extend the battery life of your DAP when using the line-out and that's a definite plus. There's no high and low gain option or a bass boost but I think if those were added add this price point then there would need to be sacrifices made elsewhere so I prefer it the way it is. The only criticisms I have are the lack of attachable "feet" or something to protect itself and the connected device from scratches and I'd like the volume pot to have a little more resistance to make accidental changes less likely. At the current asking price of $44 I think this thing is an absolute gem. It's well built, has a silent background, great battery life and a linear signature. If you think you need more power to drive whatever you're listening to then this should be on your radar. 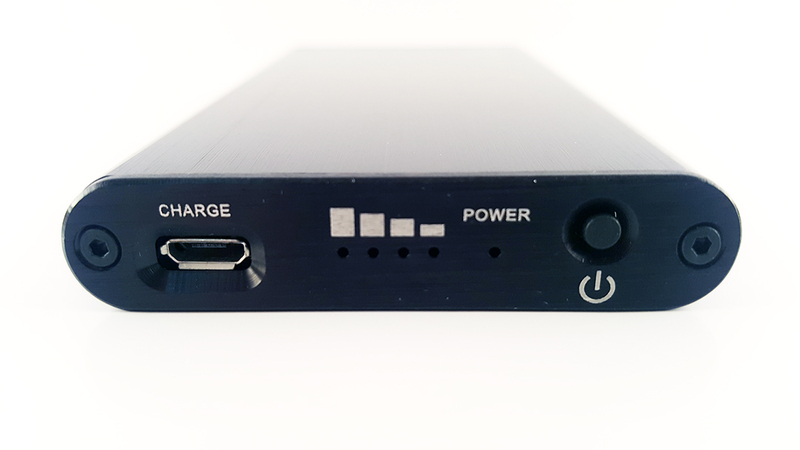 Alternatively if you want to get more life out of you DAPs battery then this can help there significantly too. 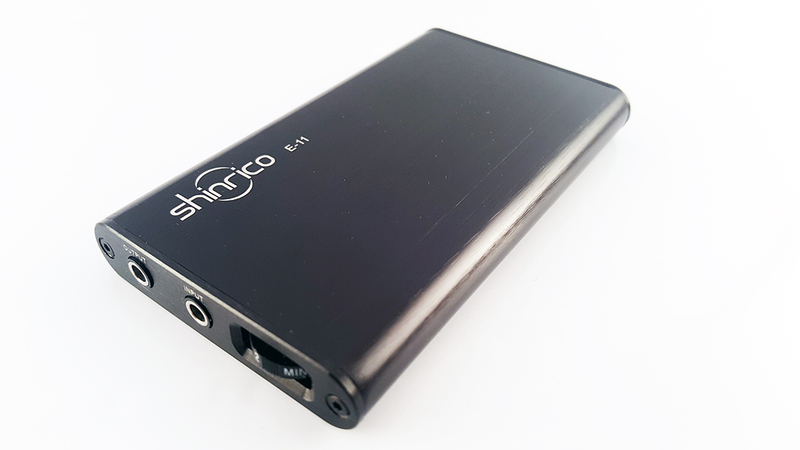 For those thinking of buying a portable headphone amp you should definitely check out the E11. peter123, B9Scrambler and polychroma23 like this.